Deutsche Messe is gearing up to become the first-ever exhibition complex with full 5G coverage. The company’s plans involve transforming its 100-hectare exhibition center in stages into a highly innovative multifunctional campus that will be available as a test facility for real-time 5G use cases 365 days a year. Deutsche Messe will also launch a new 5G-themed trade show in the fall of 2020: the 5G CMM Expo. The current season of HANNOVER MESSE with its 5G Arena is said to be just the beginning; the "Smart Venue" project is taking Deutsche Messe's 5G commitment to a whole new level. The company aims to roll out the new 5G mobile telephony standard to all of its exhibition halls and its open-air site as soon as possible. 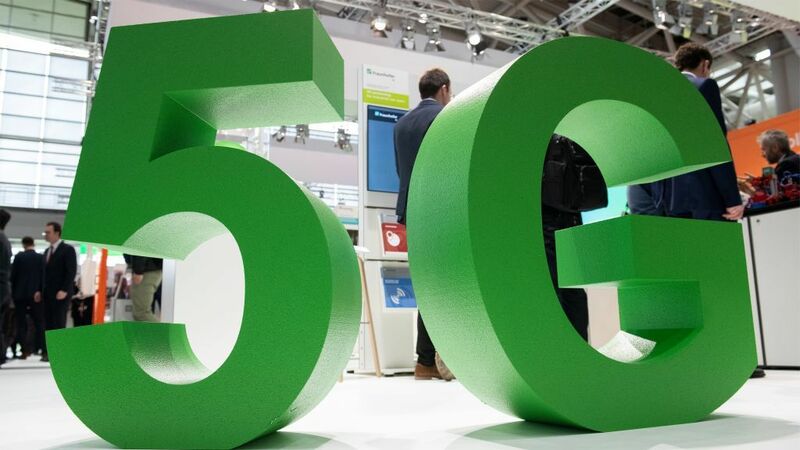 With 5G permanently available, the Hannover Exhibition Center will be able to host tests and demonstrations of numerous innovative, 5G-based applications from a whole range of sectors, including industrial manufacturing, mobility, logistics, Smart City technology and health. "5G is the key enabling technology for the ongoing digital transformation of business and society, because only with 5G can the Consumer Internet truly become the Industrial Internet," said Deutsche Messe's Managing Board Chairman Dr. Jochen Köckler. "The integration of intelligent machines in smart manufacturing and the development of self-driving cars, vertical logistics, smart farming and many other technologies require radio-based mobile gigabit Internet. That is why we are making this move and developing our exhibition center into a showcase of tomorrow's world, a platform where people can preview the changes that are transforming work and public life." Dr. Bernd Athusmann, Minister of Economic Affairs, Employment, Transport and Digitalization for the German state of Lower Saxony as well as a member of Deutsche Messe's Supervisory Board, had this to say about the new development: "Once again, the Hannover Exhibition Center is serving as the birthing grounds for an innovation of global significance. With a permanently installed 5G exhibition site, Deutsche Messe is underscoring its leadership in the staging of international flagship fairs. The implementation of fully operable, seamless 5G infrastructure is of pivotal importance to the futureproofing of German industry. Deutsche Messe's 5G site will thus serve as a role model. In Hannover, the trailblazing opportunities and innovative applications made possible by the 5G standard will be visible 365 days a year." 5G will improve connectivity and reduce latency, thereby making possible a whole range of highly data-intensive Internet of Things (IoT) applications. Examples of such applications, alongside Industry 4.0 and new traffic management systems, include new urban utility supply and disposal systems, eHealth, telemedicine and robot-assisted surgery, to name but a few. In the first stage of this process, Deutsche Messe will build an urban infrastructure system, comprising a public and private 5G network, at its exhibition center. The network will encompass an area of 100 hectares, including more than 30 exhibition halls, about 10 kilometers of transit routes and several thousand parking spaces. The fully functional network will make it possible to demonstrate 5G applications and offer new services at Deutsche Messe's existing Hannover-based trade fairs. It will also transform the exhibition center into a testing ground and multifunctional campus where 5G real-time use cases can be tested year-round in a protected and controlled environment.